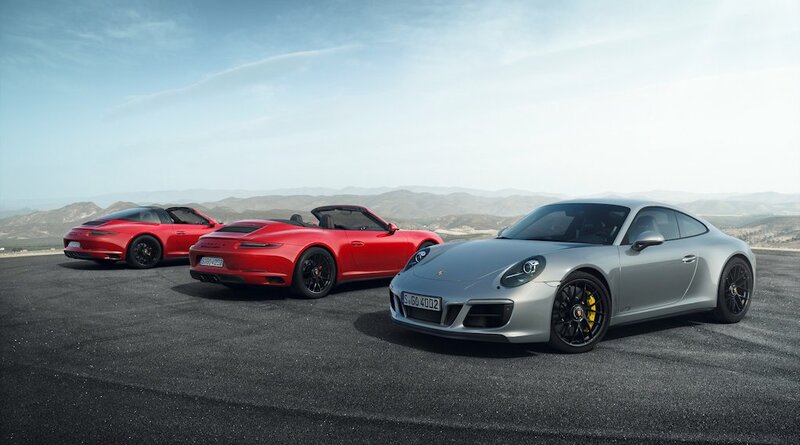 Porsche is expanding the 911 family with the introduction of the new GTS range. In fact, Porsche Philippines wasted no time and is already taking orders for the 911 GTS. 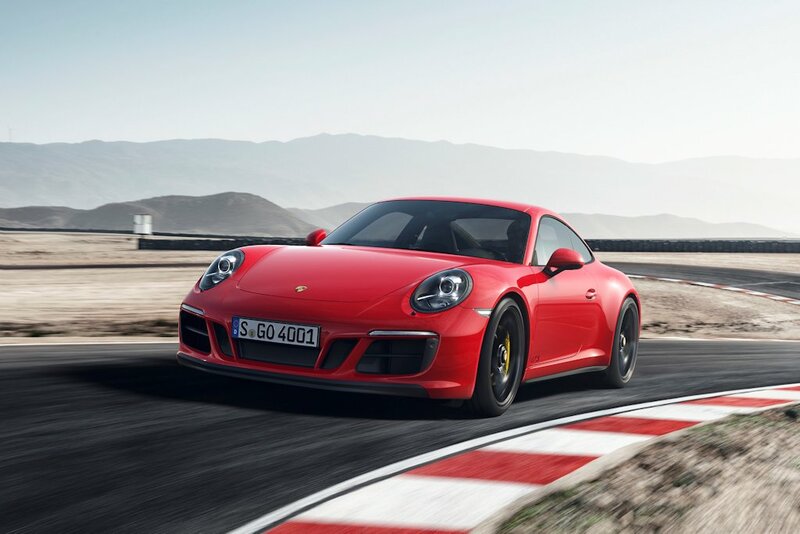 As a refresher, the GTS sits atop the Carrera S and features more power and higher equipment levels than the Carrera S.
For 2017, the 911 GTS runs on a newly-developed 3.0-liter Flat-6 engine. Thanks to a revamped turbocharger, it generates 450 horsepower—30 more horses than the 911 Carrera S and 20 more than the outgoing GTS. All variants are available with Porsche’s dual clutch system: Porsche Doppelkupplung (PDK) or a 7-speed manual. 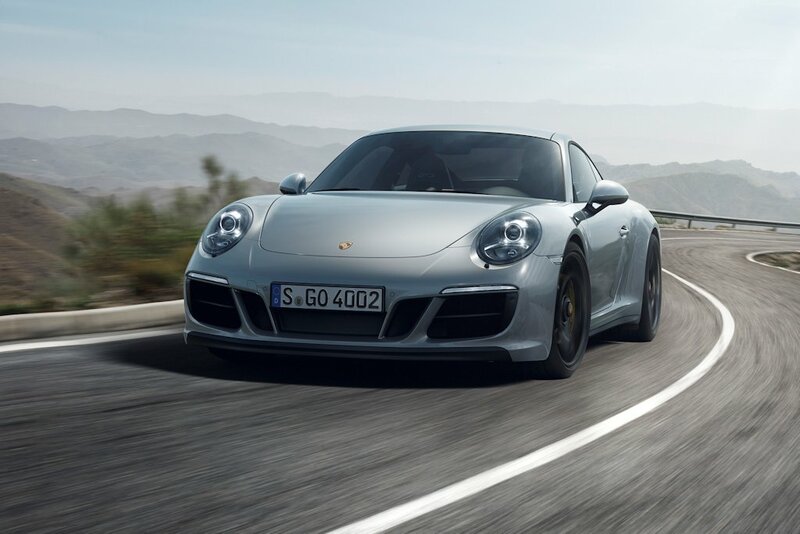 The fastest sprinter in the family is the 911 Carrera 4 GTS Coupe. With PDK and the Sports Chrono package as standard, it races from 0-100 km/h in just 3.6 seconds. And while all GTS models have a top speed in excess of 300 km/h, the Coupe equipped with an M/T and rear-wheel drive tops them all at 312 km/h. 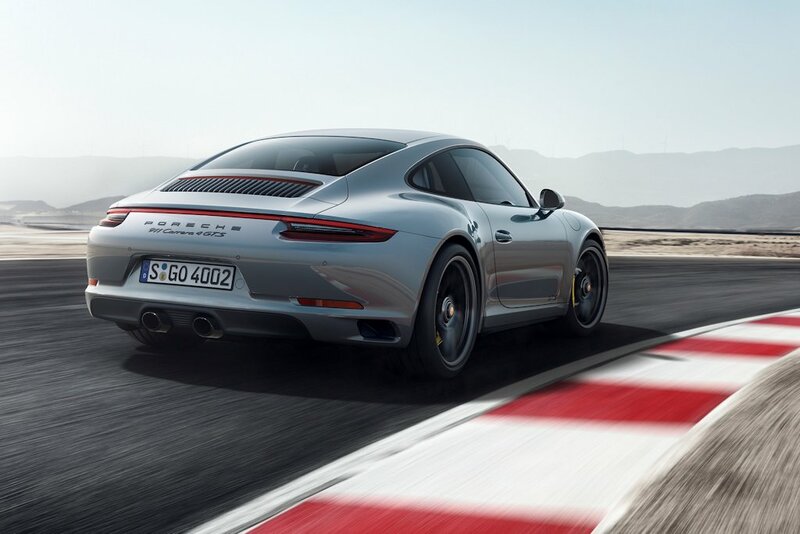 Apart from just peak power, the 911 GTS offers better everyday usability thanks to improved elasticity. The 550 Nm of torque is spread out from 2,150 to 5,000 rpm. Porsche Active Suspension Management (PASM) is standard as well. In all coupe models, the PASM is paired with a sports chassis which lowers the overall height by 10 millimeters. The GTS models stand out within the 911 model line thanks to their unique design cues. For instance, all benefit from the wider chassis which measures at 1,852 millimeters whether it be rear- or all-wheel drive. At the back, the GTS is unmistakable with its smoked tail lights, silk-gloss black air intake grille, and central black twin tailpipes. A new black trim strip between the taillights characterizes the rear-wheel drive models while a light strip is reserved for models equipped with all-wheel drive. GTS logos on the door complete the transformation. In Targa models, the characteristic targa bar is now in black for the first time ever. The local spec GTS features the Sport Design package as standard equipment. This emphasizes the GTS’s sporty character. It starts with a new front apron along with a low front spoiler. 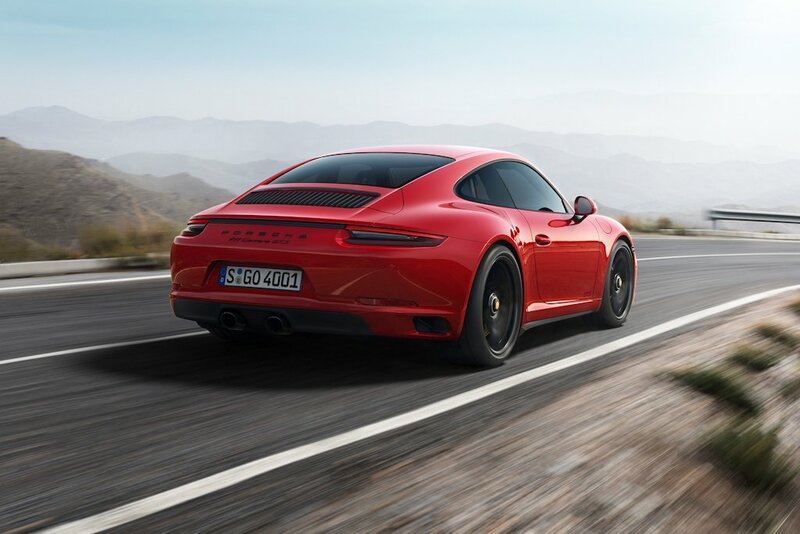 In conjunction with the increased rear spoiler extension height, it further reduces the lift compared to the Carrera S. Meanwhile, the Sport Design cues continue to the side mirrors and the 20-inch wheels with a black central locking device. 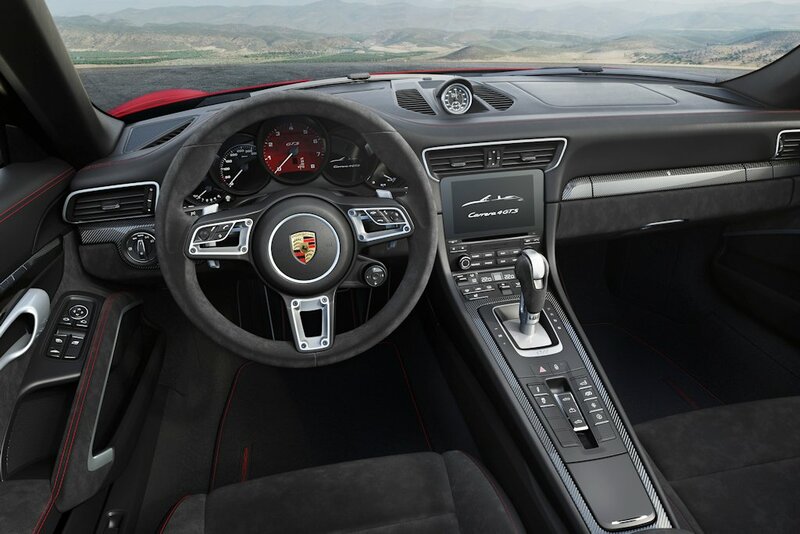 Inside, the GTS is all business with a high proportion of Alcantara. The racing inspired material is found on the steering wheel, seats, center console, and arm rests. The seats themselves, the Sport seats Plus, is emblazoned with the GTS logo. Adjustable electrically 4 ways, it provides increased lateral support and comfort. Other features include brushed, black anodized aluminum trim strips on the instrument cluster. Meanwhile, the stopwatch of the Sport Chrono package is now integrated as a central component of the dashboard while the launch of the GTS is coincided by a new version of the Porsche Track Precision app. This smartphone app includes automatic recording, detailed display and analysis of driving data.